The first Kare Bear meeting of the season took place on October 17 as we welcomed five new Kare Bear members: Kitty Determan, Barbara Stolper, Betty Norgord, Gayle Wiedbusch and Susan Agostine. Representatives from Boots in the House, Jamie Sistek and Chris Omitt, gave an update on accomplishments of their organization this year. A total of 1100 care packages were sent to our military troops in hostile and remote locations all over the world. When a military person is chosen to receive a package, each person in his unit will also receive a package. Holiday packages to the troops will include: a small Christmas tree, an ornament, handmade cards, candy canes, prayer squares, cocoa and instant snow. 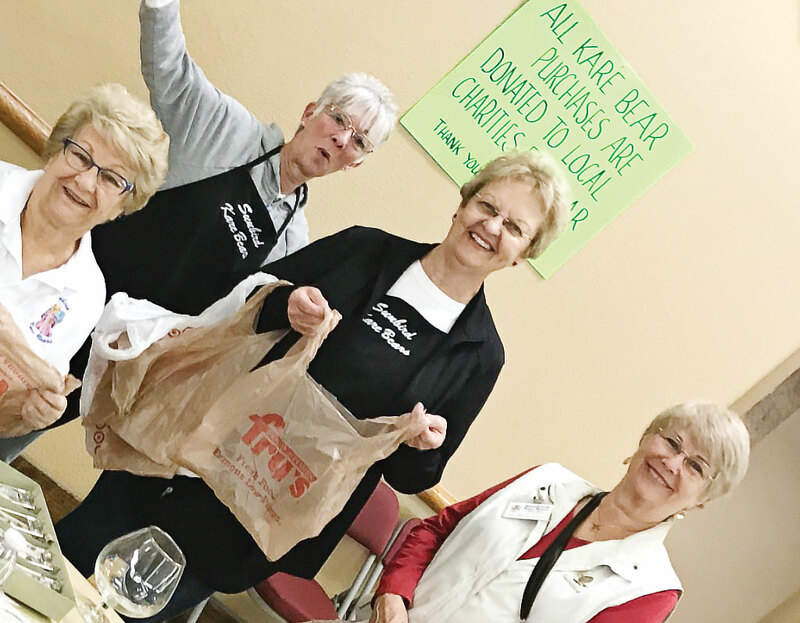 Kare Bears donated additional funds to assist in the shipping costs of $20 per box, as well as small (travel-size) food, drink enhancer and hygiene items. BIH also supports organizations involving service dogs and military people who have gone AWOL and suicide prevention, etc. Lynn McHale, our “sunshine” lady, kindly requested our members to provide her with names and address of individuals who are ill or returning from a hospital stay. Concerned individuals in our community aware of the above situations may contact Lynn McHale at 480-620-6103. Lynn, who heads up the Donut table at the KB fair, requested someone volunteer to cashier at the Donut table for the KB Fair. Ester Bono is presently involved, and Susan Agostine, a brand-new member, volunteered. That’s the benevolent spirit we exemplify. Thanks, Susan! Our next Kare Bear fair is on Saturday, December 1, in the ballroom from 8:00 a.m. to 12:30 p.m. The Faires are open to the public, so c’mon down! Browse, patronize or just enjoy the ambiance. Encourage your neighbors to join you! Join 41 outside vendors who will offer their unique and innovative creations for sale. Watch battery replacements will be available! Esthetic t-shirts, jewelry, leather goods, wood products, candles, sports earring and necklaces (reasonable) and much more! 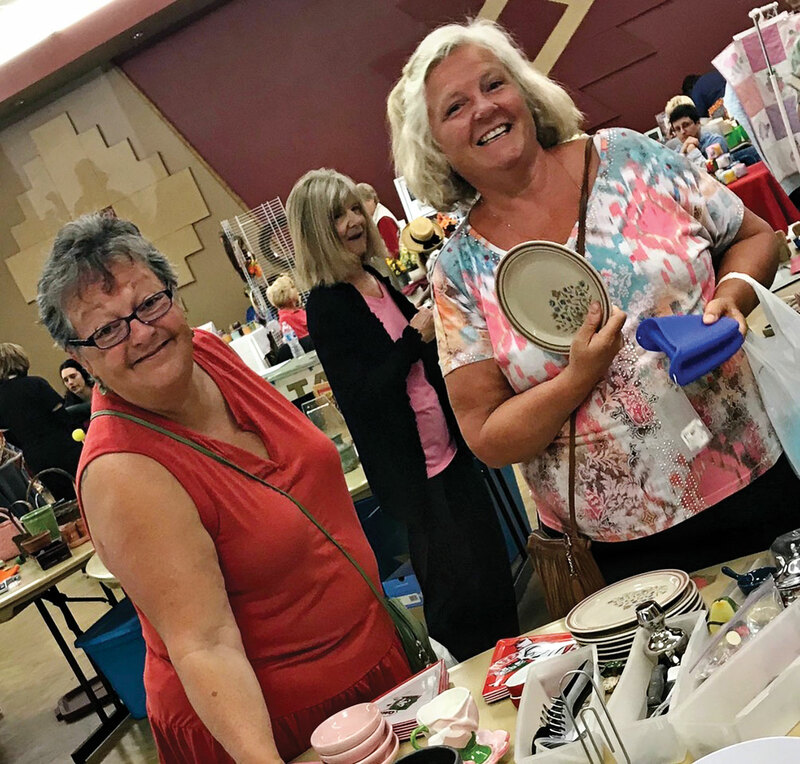 The best part, bargains are accessible at the Kare Bear’s FAMOUS White Elephant table! Innovative items that will delight… not bust your budget. There will also be an exclusive table arrayed with collectable and specialty items for your scrutiny. Our November Faire generated an excellent profit! 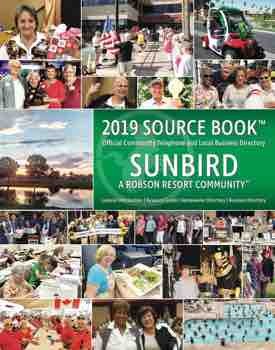 Thank you, SunBird residents, for your donations. We appreciate you! Sherry Fann may be contacted at 480-883-1167 for questions and pick-up options. KB Christmas luncheon is on Wednesday, December 19. The pungent ambiance of Yuletide will fill the air. Delectable and savory entrees, combined with comradery, equals a delightful event. Please bring your NON-PERISHABLE food items which will be donated to St. Vincent DePaul. Please bring a $5.00 wrapped gift to exchange. Creedence Clearwater Revival Tribute Band’s appearance will be in the SunBird Ballroom on January 22 at 7:00 p.m. See the CCR article for additional information. Also see posters appearing in the clubhouse.